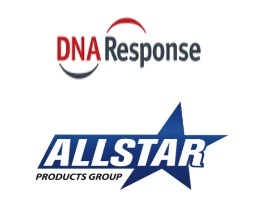 Allstar Products Group recently selected DNA Response, Inc., a multi-channel commerce company, as an exclusive partner to manage and control their online marketplace channel in North America. Under the agreement, DNA Response will enforce Allstar’s established pricing policies and authorized seller agreements for potential third party sellers on leading marketplaces including EBay.com, Amazon.com, Rakuten.com, NewEgg.com and Sears.com. While e-commerce marketplaces present a high growth opportunity for omni-channel product marketers, the ability to manage 3rd party sellers and enforce reseller agreements is critical to protect traditional in-store retail channels from downward pricing pressure. As a leading direct response marketer, having introduced brands such as Snuggie and Perfect Bacon Bowl, Allstar Products Group will rely on DNA’s channel protection solutions to gain control over their marketplace channel and to effectively leverage the benefits of a protected distribution channel. “DNA Response brings a fresh perspective to how we reach our customers online,” says Allstar President and CEO Scott Boilen. “To best leverage marketplaces like Amazon and protect our traditional retailers from competition, we needed to gain control of the 3rd party sellers authorized to sell our products on marketplaces and dictate clear quality and pricing guidelines,” Scott Boilen adds. DNA Response will market Allstar products and provide marketplace channel protection solutions for brands including Juggle Bubbles, Catch Caddy, Purrfect Arch, Catch Caddy, and upcoming products including Spicy Shelf and Bright Eyes Blanket. “DNA gives us the intelligence and reporting tools to quickly identify unauthorized sellers to manage marketplaces and maximize revenue across all our channels,” says Scott Boilen. “It’s a great privilege to partner with Allstar Products Group and work with a company that shares our vision for a controlled distribution approach to selling on marketplaces,” says DNA Response Founder and CEO Ranjit Mulgaonkar. This entry was posted in Scott Boilen in the News and tagged Allstar Group, direct response, DNA Response, ecommerce, marketplace channel, Scott Boilen on September 5, 2014 by ScottBoilen.